We have a fleet of bikes and trailer and can offer groups of up to 20 a biking experience. (Suitable for years 7 and up). From Grade 1 to Grade 3 Tracks - we can offer you a range of tracks to suit all ages and abilities. From easy tails along the streams of the mountain - to downhill, fun, exhilarating tracks. We hold DOC Concession to operate in the Pirongia Forest Park and can show you some amazing places to go biking. 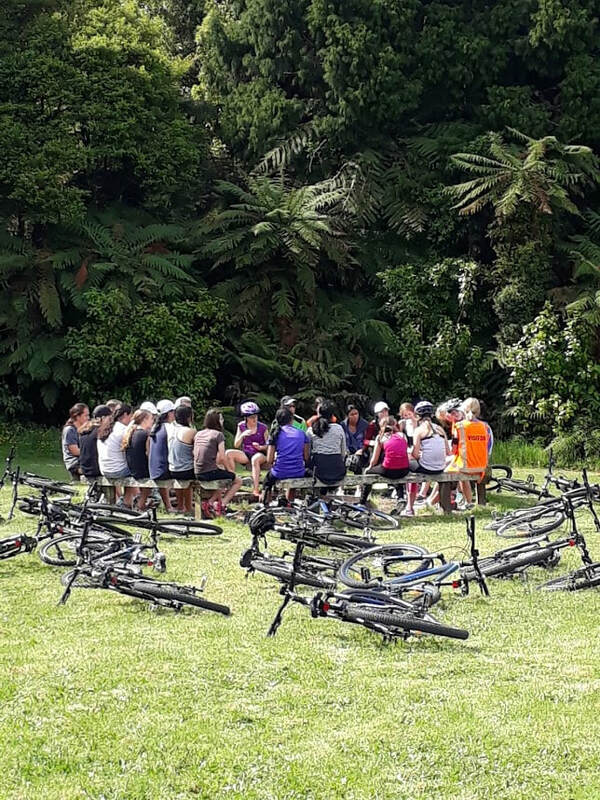 Groups that wish to provide their own bikes and hire one of our instructors - we will work with you to ensure that your bikes are ready to go for an all out mountain adventure.